The banking sector deserves special mention as well, where products purchased online now comprise a considerable 48% of the category total. 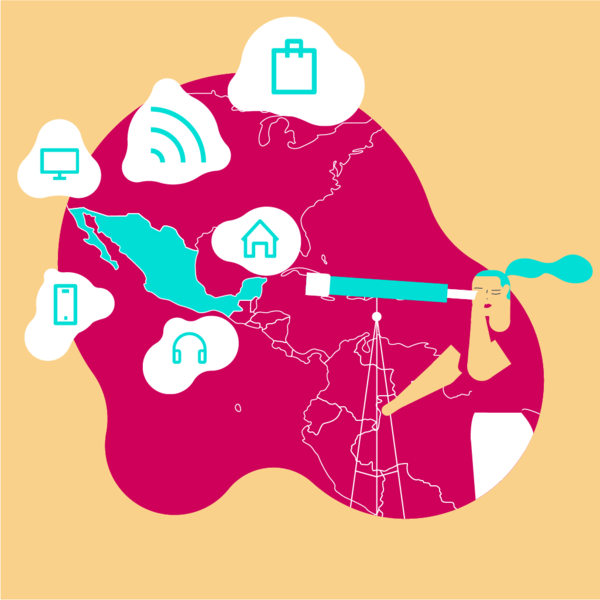 We present to you e-commerce Challenges in Mexico, conducted by The Cocktail. The report includes our updated knowledge available on online Mexican shoppers, by characterizing them and exploring their use of various devices in each stage of the purchase. The cluster analysis allows us to differentiate from among three attitudinally different buyers. Additionally, we go over priorities and pain points that arise during each phase of the customer journey. Some of the most pertinent data show that more and more Mexicans are shopping online. 85% of users have purchased via the Internet over the past year, which represents a 7% increase over 2017. Moreover, it should be pointed out that there has been 20% growth in contracting services, led by travel (77%), video (69%) and urban transport (67%). In regards to products, 57% of Internet users have purchased at least one product, with the electronics category topping the list (39%), followed by culture (37%) and fashion (34%). This way, beauty, supermarket and medicine are beginning to significantly grow by 86%, 79% and 69%, respectively, compared to 2017. Companies in Mexico now understand this environment and we envision great opportunities for growth. José María García-Hoz, CEO of The Cocktail Mexico. In terms of SEL (Socioeconomic Level) and age, adults are breaking down barriers and gaining significance, particularly those over the age of 46, increasing by 42% compared to 2017. The most used device is now the smartphone, for searching for information as well as for the purchase itself, with a 51% increase. Lastly, we take a look at the profile “non-online shoppers,” (15% of the Internet user population), in order to identify the motivating drivers which will enable their inclusion into this dynamic. If you’d like to learn more, you can read the entire report.